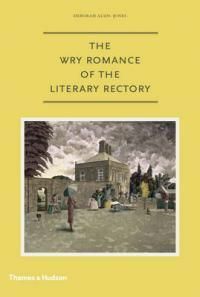 The Wry Romance of the Literary Rectory is a series of delightful biographical vignettes of various literary families and how living in a rectory inspired their lives and their work. This ranges from actual ecclesiastical families such as the Tennysons or the Bensons, as well as families that moved into former rectories such as the Betejemans or Rupert Brooke. The mystique of the rectory as a place of inspiration forms an important part of British literary culture, and it is interesting to see how the rectory’s role evolved over the decades, while still retaining its old pull on the senses. Highly recommended.